Woohoo! Not only is it the last day of August, but it's our 45th link party. I find it hard to believe. It just goes to show you how quickly time flies by! Make sure you stop back tomorrow to read my pre-Halloween decorating post. You'll get a glimpse at all the cool projects we plan to work on in the next two months! If you can't wait until tomorrow to read our Halloween post you can check out all the cool Halloween projects we completed last year. You'll probably get the sense that it's our favorite holiday! Thank you to all who participated last week. We had some great projects linked up. Please make sure you take a look at the featured projects from last week after you link up your project(s). Now, let's get this party started! We hope everyone had a wonderful weekend. We had a nice mix of "work and play". Saturday we got to play at the beach and Sunday we worked on some projects. One of which I blogged about yesterday. Did anyone see my revamped Stenciled Tray & Tea Light Votives? 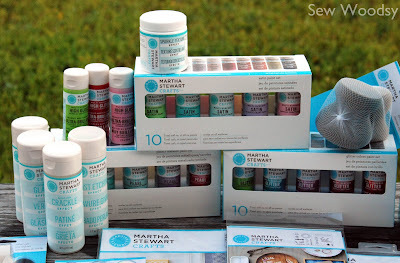 How about the all new Martha Stewart Crafts™ Decorative Paint Line products? If you didn't see it yesterday I highly suggest you check it out. Today is also the last day to use the 40% off one Martha Stewart Crafts Craft Paint of Craft Paint Accessory at most Michael's stores. Go here for the coupon. Three Little Birds Mobile from Thar She Sews! Love this cute little mobile! Congrats on crossing it of your "bucket list". Love this decoupaged box of vintage music and dictionary scraps. I love the dictionary bow on top! Hoping to make similar packaging for Christmas this year! Love this map art! The person receiving this gift will sure love it as well! 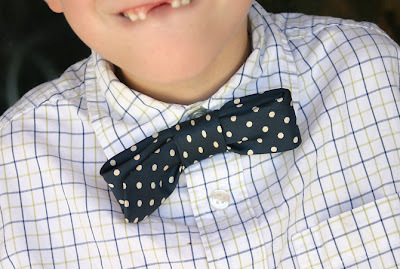 Great DIY bow tie and best of all those who don't sew can make this! 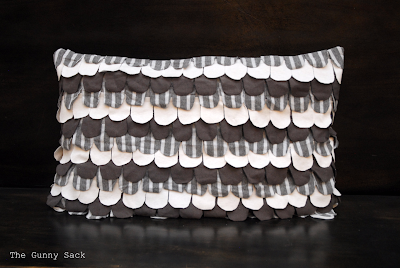 Tonia is at it again... she made another amazing Anthropologie knock off pillow! I actually like her's better than the real thing! 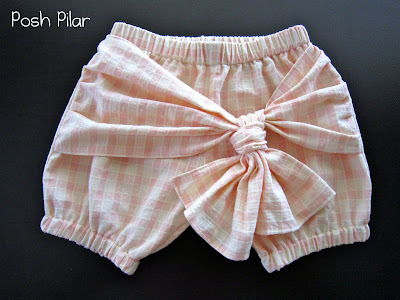 WOW---these bloomers (in my opinion) look better than the original and overpriced $59 j. crew version. Great job and we can't wait to see the tutorial your working up! 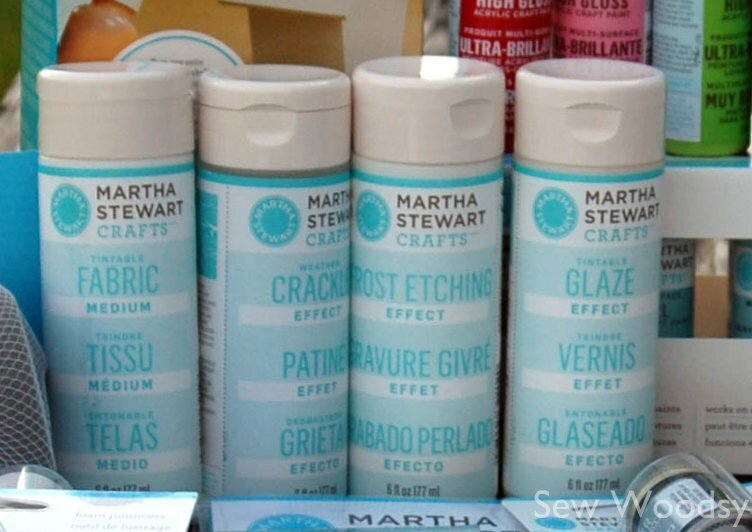 I'm so excited to introduce you to the Martha Stewart Crafts Decorative Paint Line, brought to you exclusively by Plaid Crafts. I was one of the lucky crafters chosen to get a preview of the line before it was released to the public! If you are a fan of Sew Woodsy on Facebook you got a sneak peak of the amazing box I received a few week's back. It felt like Christmas morning when I started opening the box. There were so many amazing craft supplies from this first-of-its kind decorative craft paints for ALL surfaces! I had a million project ideas racing through my head. Too many ideas and not enough time in the day for crafting. The product is exclusively available at Michaels stores in the United States and Canada. When I stopped by my local Michael's last week I saw the full display. Did you know they have chalkboard paint? In multiple colors!!! There are 160 paint colors in five finishes (Satin, High Gloss, Glitter, Pearl, Metallic). All paints come in 2 oz. bottles and are non-toxic which means this paint is even safe to use with children! *And when wet wipes off without a problem! This paint is formulated to work on all crafting surfaces including wood, metal, glass, ceramic, terra-cotta and fabric. It is indoor/outdoor safe and dishwasher-safe on glass. Now, let's get on to the project! I chose to make over a wooden tray that I use often in our house, and a few glass tea light votive holders. I wanted to test the paint on both wood and glass surfaces. First you will want to pick out your color, lay out your drop cloth, and begin prepping to spray paint your tray. Mr. Woodsy was intrigued by the Spray Paint Kit. He wanted to give it a try. Follow the instructions on the back of the box. The spray paint kit comes in satin and gloss finish. In my case I received the satin finish kit. It is suggested that you only use satin paints with the satin spray medium, so that's what we did. Mr. Woodsy spray painting the top of the tray. * Make sure you spray paint where ever you would normally spray paint a project. We spray painted outside like we would normally do with spray paint. Once your tray has dried you can begin to layout your stencils and paint. I waited 24 hours before stenciling. Here are two of the six stencil brushes you get in a package. These brushes are ideal for painting on textured surfaces like fabric and wood. Before I began painting on my tray I wanted to try out the stencil on a piece of paper. Here was my finished product... I was very happy with how easy it was to use the stencils. You'll notice the large glob of paint. A little paint goes a long way. Learn from my mistakes. Make sure you conserve! Next you will want to tape down your stencil, and read the directions on the stencil package. Make sure your stencil is taped down good to prevent it from slipping and paint from getting in the unwanted areas. Next, you will want to start painting your stencil on to your tray. Each stencil pack comes with step-by-step detailed instructions. On my first stencil I used the stencil brush. I placed a small amount of paint on the brush and dabbed/brushed a thin layer of paint onto the stencil. While the paint is still wet carefully peel the stencil away from the tray. This is what my stencil looked like after I was done painting. I'm in love with the foam pouncers. These little gems are amazing. Not only are the pouncers easy to clean up (the sponge can be removed from the plastic handle), they give amazing end results. These foam pouncers have totally transformed the way a sponge brush is used. After the first stenciled design dried, I secured two more stencils on to my tray. I then used a medium size foam pouncer to dab the paint on to the large design. Using my new favorite paint tool, the foam pouncer. Both of the colors have been applied, now they are ready to be peeled off the tray. 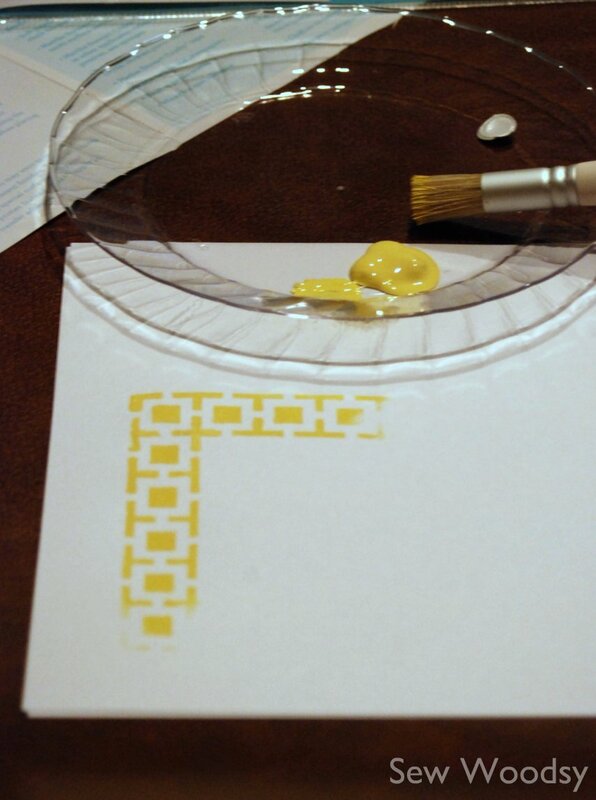 As each stenciled design dries, repeat until you have the desired pattern. *I used a small pouncer to dab the Green Curry (gloss) on to the stencil. Followed by a light dusting of Peridot (glitter). 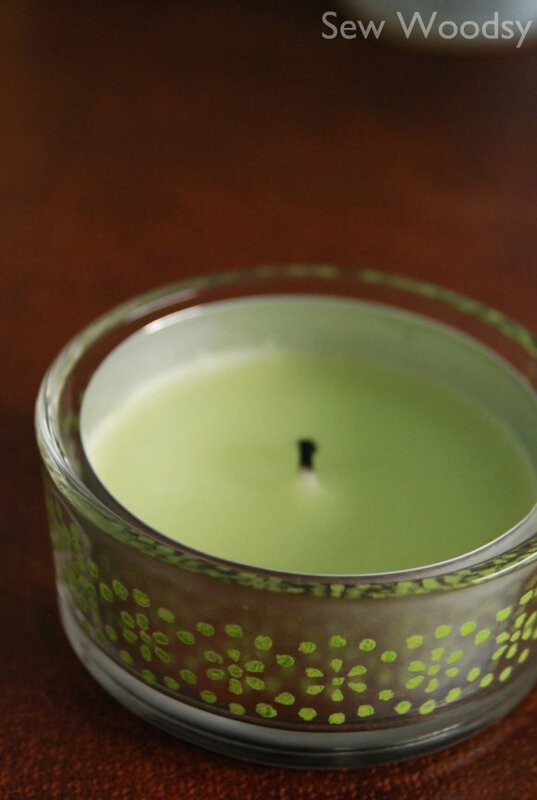 After I finished the tray I decided to add a painted pattern design to a few glass tea light votives. I used the small adhesive stencil; Fair Isle Dots 32271. These adhesive stencils can be removed multiple times for multiple uses. The texture of the adhesive stencil reminded me of a bandaid. 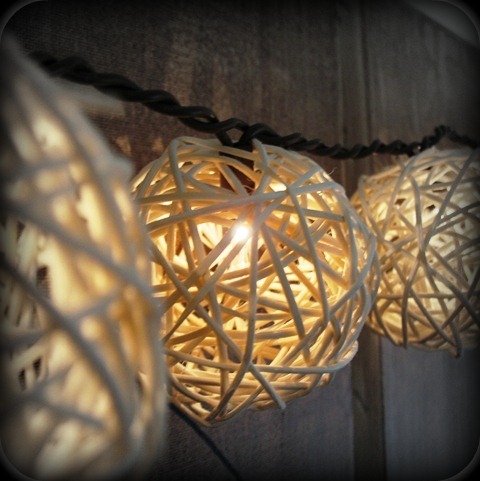 These are most ideal for curvy surfaces like a round votive. I chose two different patterns to wrap around my glass votives. I used Peppermint Bark and the smallest foam pouncer to paint on to the glass. You may notice that you might need a few coats of paint. Use a small amount of paint on each coat to ensure paint does not seep into unwanted areas. As you can tell there was a gap left that was not painted. Carefully remove the stencil. Once the paint has dried completely, line up the pattern and paint the remaining unpainted patterned surface. Don't worry if you get paint outside of your stencil (pictures above). Take a paper towel with water and carefully rub off the excess paint. Be careful not to rub off the painted pattern. I followed the same steps for painting the larger glass tea light votive. Take a look at the pattern. I'm not sure if anyone would notice that I painted on the pattern myself. It came out perfect! Just like the small votive you will need to let the paint dry completely, line up the pattern of the stencil, and paint the remaining unpainted surface area. Here is an arial view of the glass tea light votives. I'm in love with them, and I think I'm ready to start stenciling more glass surfaces! I love the detailed pattern. The color matches the tea light perfectly! These glass tea light votives took less than 20 minutes to complete. I love my newly revamped two-toned tray, the detail of the stencils, and the glass tea lights. I'm ready to do a little entertaining (or throw our bills and magazines on the tray). A view of the glass votive tea lights. An arial view of my newly revamped tray. In case my sneak peak of this amazing new product wasn't enough to get you excited--here is Martha Stewart herself to talk about this first-of-its kind paint for ALL surfaces. I hope I've inspired you to go try this revolutionary product! Michael's has a coupon available for 40% off one Martha Stewart Crafts Craft Paint of Craft Paint Accessory that's good until tomorrow, Tuesday, August 30, 2011. *I plan to buy chalkboard paint with my coupon. Disclosure: Full post disclosure here. I'm excited to share that I'm making my Design Team debut on the Bowdabra blog today. I'm sharing how I made a Vacation Memorabilia Organizer with the items we had brought home from our New York City vacation over the 4th of July weekend. I printed out a few of my favorite photo's from our trip and included a printed out map (since we have an awesome map I'd never want to cut up), our playbills, entry tickets, and metro card. Please visit the Bowdabra blog and learn how to make your own Vacation Memorabilia Organizer! Thank you to all those who entered the "Dream" Hand-Carved Stamp Set giveaway compliments of Claire, who blogs at Saraccino. One winner will receive the stamp set above. *Please email me you're mailing address, so I can pass it on to Claire! Stay tuned. We will have another giveaway in the coming weeks! I've been a busy bee ever since we got home from the beach. I have tons of exciting projects to get accomplished within the next few week's before we leave on vacation. No time for sleep--it's 24-7 craft-a-thon at our house. 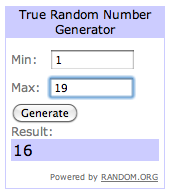 First off, we have a giveaway going on until Thursday evening. Make sure you head over to the page and enter to win a set of "Dream" hand-carved stamps! They are amazing and made by a dedicated follower of ours! Wow--another week has gone by. We spent our weekend at the beach doing a little R&R and spending some time with Mr. Woodsy's family. Not too much crafting went on. But I did have a chance to finally take some "finished" photo's of a dress I recently completed. Stay tuned. I'll be posting about them within the next week! I'm also a bit in shock that Halloween is 69 days out and we've yet to start a project. So much for starting projects in August this year. Guess it will be a race to the finish line like last year was! Now, on to the features. Here are our top 5 features from last week, and our Reader's Choice feature! If this is your first time being featured please grab a featured button, and display it proudly on your blog! 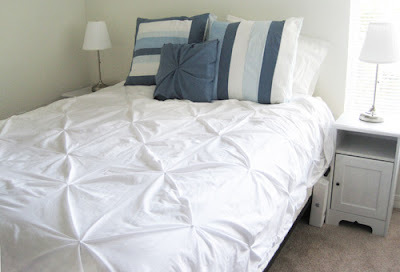 This fairly new blogger, Skye, made an amazing Pintucked duvet cover for $20. These are all the rage right now in the stores and range from $70-300. Yes, it does look a bit tedious, but for $20 and to call it your own creation is well worth the effort in my book. Make sure you head over to her blog and show her some love. She has other amazing projects on your blog, that I'm sure your going to love! Ummm how amazing is this? AWESOME! I follow Rachel on both Twitter and Pinterst and got a sneak peak after she finished this project. For $17.93 Rachel and her children made this amazing lemonade stand. I always dreamed of having my own lemonade stand as a kid. A stand just like the one Rachel and her kiddo's made. I'm jealous. I want to join her kids and sell lemonade too! If you frequent Pinterst (like I do) you've definitely seen a wide variety of these signs. Super inexpensive, powerful, and best of all easy-to-make! I'm already dreaming up a Holiday sign to make! 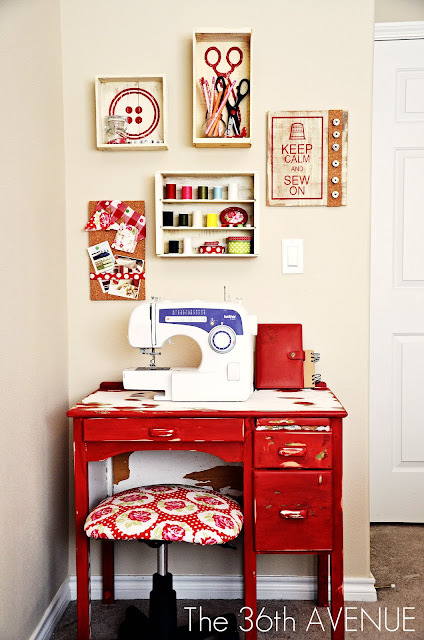 I'm in love with this sewing spot! I've never used vinyl as a stencil, and am very intrigued to give this technique a try! I love the antique look Desirée gave these thrift store boxes! Make sure you stop by her blog. 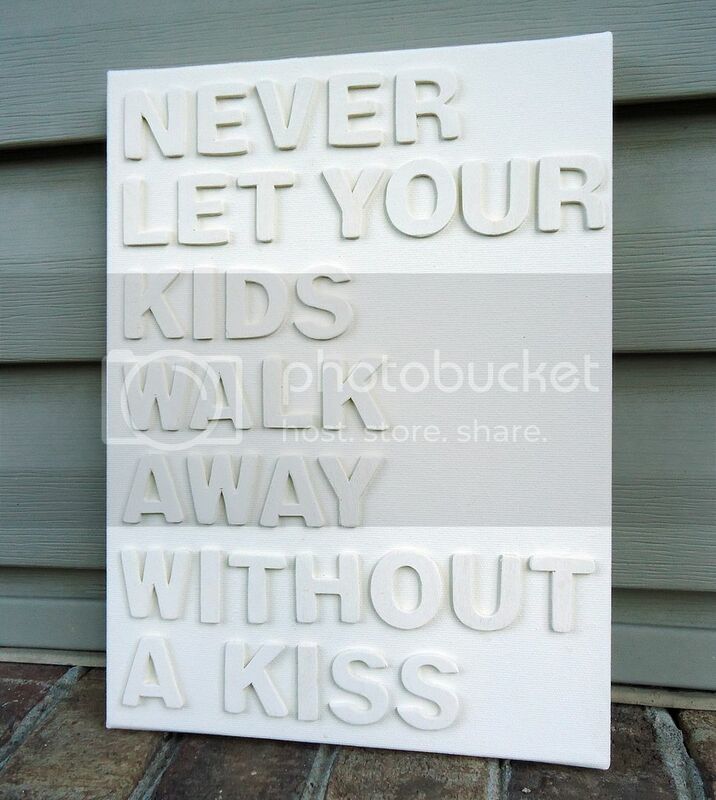 She's giving away 3 sets of vinyl stencils to create your own customized sewing area. Katie found this chair at an estate sale. Removed the "creepy fabric", painted the chair, and recovered it. The best part of this chair is the secret compartment. Mr. Woodsy and I just found bar stools that had this secret compartment and fell in love with them (not so much the price tag). I think I'm officially going to start searching for estate sales to attend. How amazing are these lights. Melody saved tons of money by making her own lights. She found a bag of the grapevine balls at the Dollar Tree and with a little time she untangled a strand of Christmas lights she had laying around. These are AMAZING!